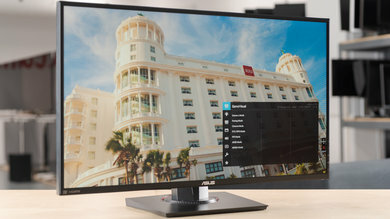 The LG 32UD99 is a very good IPS monitor with wide viewing angles, excellent low input lag, and a fast response time. It supports FreeSync but has very few additional gaming features, and some gamers will be disappointed by the limited 60 Hz refresh rate. It supports HDR, but its effectiveness is limited by the lack of a wide color gamut and mediocre peak brightness. Update 1/22/2019: The 32UD99 was incorrectly listed as having two DisplayPort Connections, there is only one. 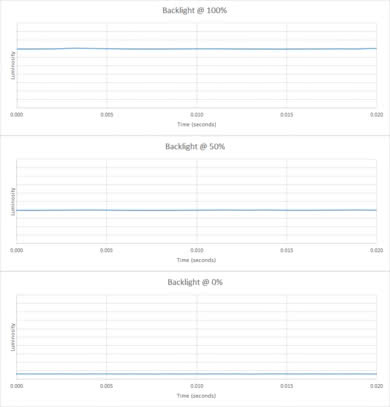 Update 1/17/2019: The Wide color gamut result was incorrect. 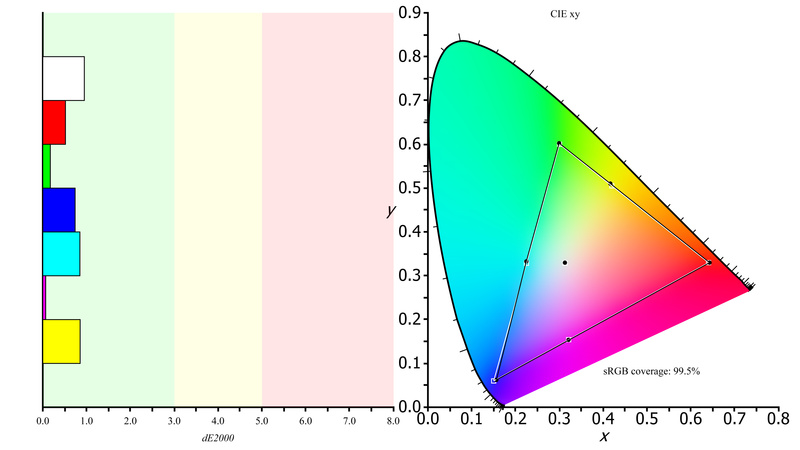 The 32UD99 does have a wide color gamut. The LG 32UD99-W has a decent design. It has decent ergonomics, but can't swivel, and has a limited tilt range. 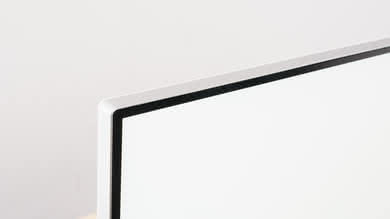 The monitor wobbles a lot, even while you are just typing. 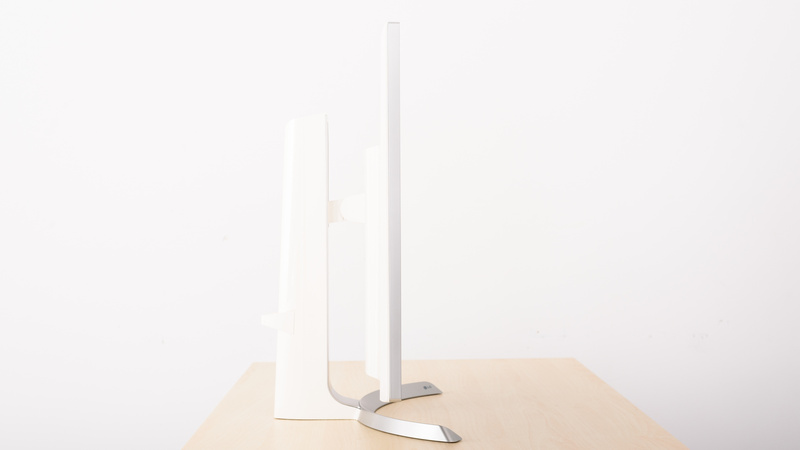 The stand is wide and prevents large objects from being placed in front of the monitor. There is a large external power adapter for the monitor, and it has a short cable that could cause some placement issues. The stand is large, and the curved shape prevents you from placing larger objects directly in front of the monitor. The monitor wobbles significantly, even typing on a nearby keyboard causes the screen to shake noticeably. It is slightly better than the LG 32UL950. Decent ergonomics. 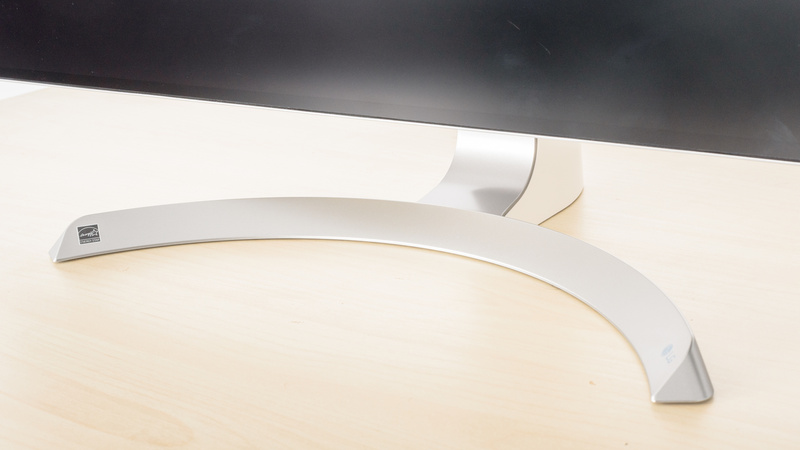 The stand allows you to adjust the height of the monitor, and it can tilt a bit. 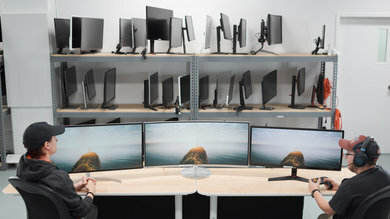 The monitor can also be adjusted from a portrait to landscape orientation. 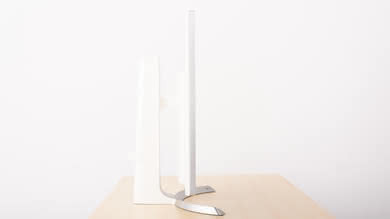 The stand doesn't swivel. 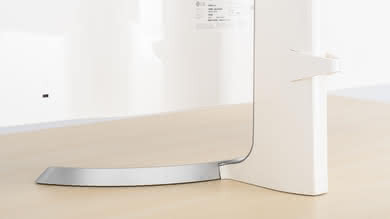 The back is a uniform glossy white finish. There is a small loop for cable management, but it isn't very effective at keeping a clean desk. 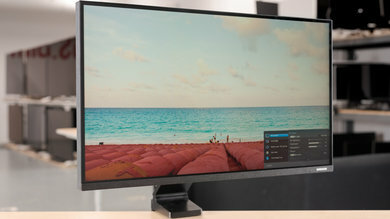 The LG 32UD99 has thin borders that look good, especially if you plan on mounting two or more of them in a multi-monitor setup. 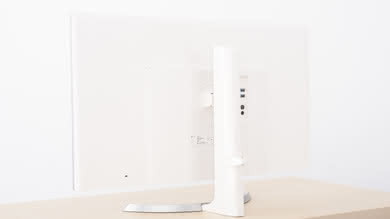 You can reduce the thickness of the stand by 0.6" (1.5 cm) if you remove the cable management clip. Decent build quality. 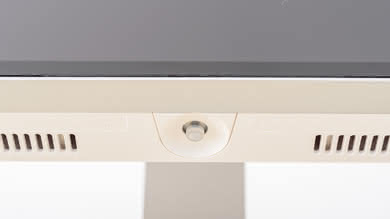 The entire monitor including the stand are made of plastic. The LG 32UD99-W delivers good picture quality. It has a decent contrast ratio and decent black uniformity, better than most IPS monitors we have reviewed so far. It has very good SDR peak brightness, and good reflection handling, so it performs well in a bright office. The monitor has decent horizontal viewing angles, good for sharing work with nearby coworkers. 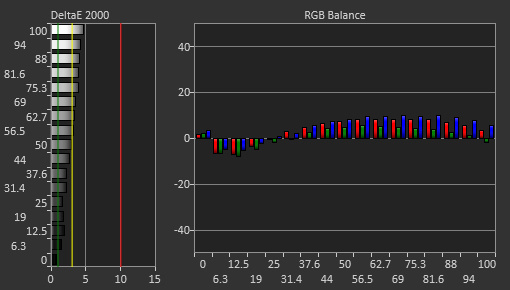 Colors look great, with the excellent color gamut and excellent color volume in SDR, but, unfortunately, it doesn't completely cover the Adobe RGB color space and it doesn't have a wide color gamut for HDR. 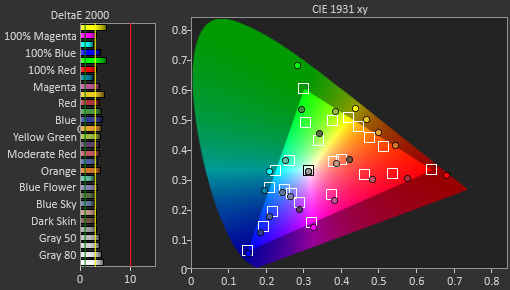 Decent contrast ratio, better than usual for an IPS monitor. There is no local dimming feature. The video is provided for reference only. Very good SDR brightness. The LG 32UD99 maintains consistent brightness across all scenes. This is almost the same as the LG 27UK650. Mediocre HDR brightness. Large bright scenes are able to get much brighter for very brief periods of time, but the LG 32UD99-W can't maintain it for more than a few seconds. Small highlights in some scenes don't stand out. Decent horizontal viewing angles. 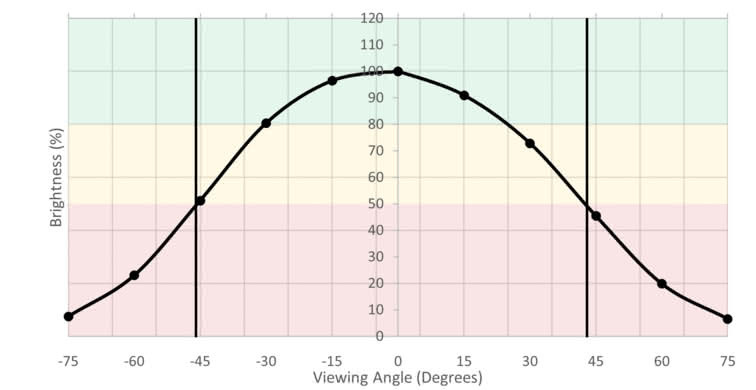 Black levels stay nearly constant at an angle. 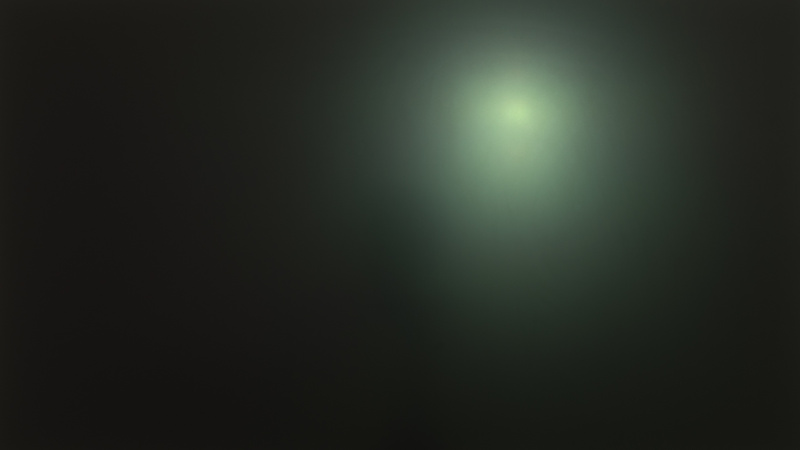 As you move farther off-axis the brightness decreases gradually and colors become more saturated. Up until a fairly wide angle, the screen remains accurate. 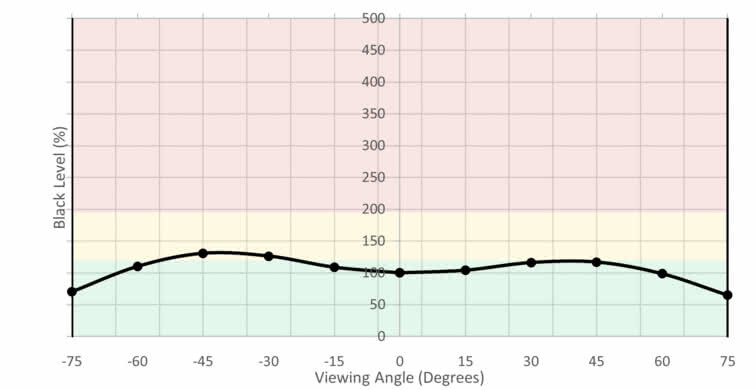 Excellent vertical viewing angles. There shouldn't be any issues if the LG 32UD99-W is VESA mounted above eye-level. Great gray uniformity. There is almost no discernible dirty screen effect in the center, which is great for browsing the web or playing sports games. The edges of the screen are a bit darker than the rest of the screen, but this shouldn't bother most people. Decent black uniformity, one of the best we have seen so far on any monitor, and better than any IPS monitor we have tested. There is some flashlighting visible around the edges of the screen, and this can be distracting when viewed in a dark room. Decent accuracy out of the box. The 'Photo' Picture Mode provided the most accurate results. 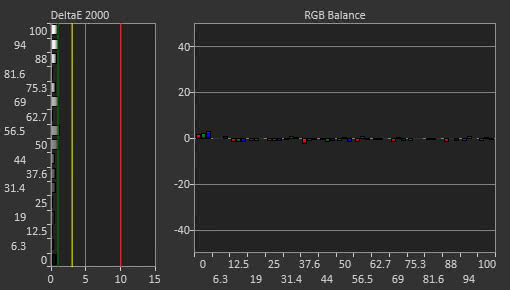 White balance and color dE are high, to the point most enthusiasts would notice it but not the average user. 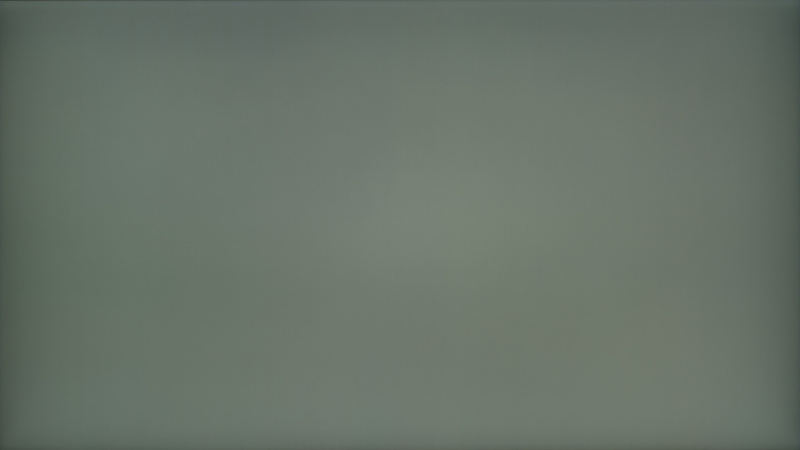 Gamma doesn't follow the sRGB target, and most scenes appear brighter than they should. 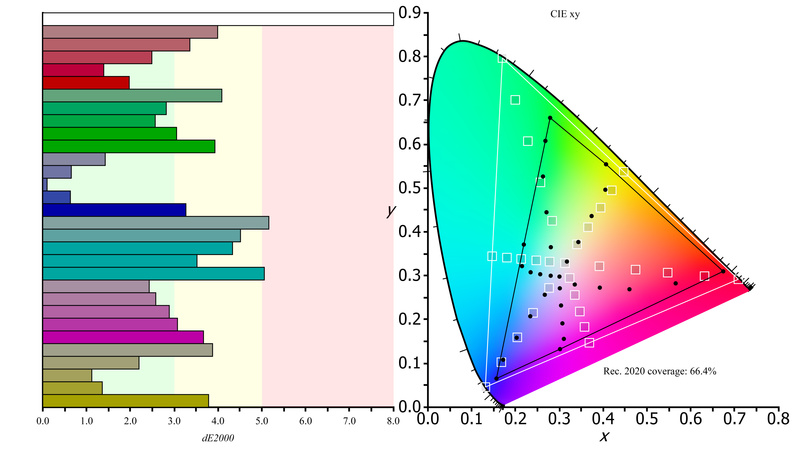 The color temperature is a bit cool, but not enough to bother most people. Excellent accuracy after calibration. We used the 'Custom' Picture Mode, as it provided the best settings for our calibration. After calibrating, white and color accuracy is nearly perfect. Gamma follows the input stimulus almost perfectly, and the color temperature is nearly spot-on our target. 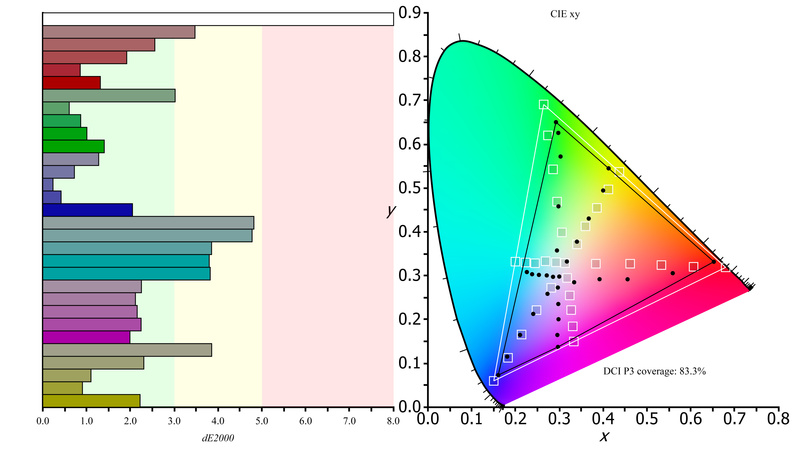 Excellent SDR color gamut. 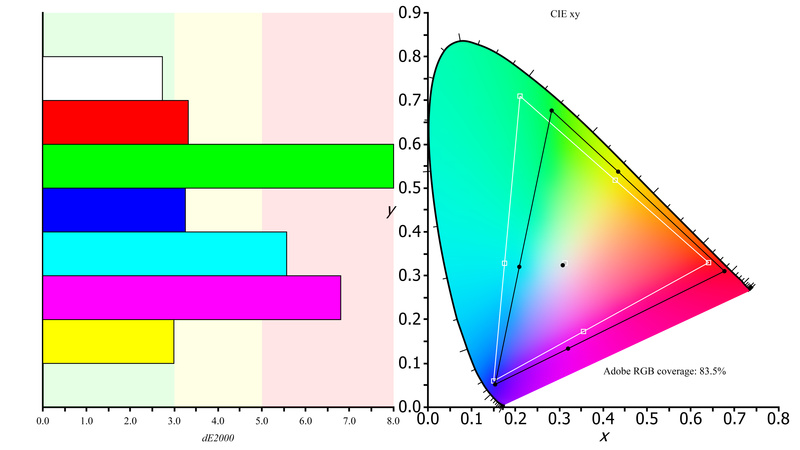 Perfect coverage of the standard s.RGB color gamut. 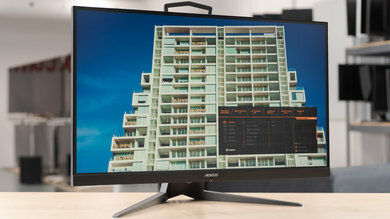 Adobe RGB coverage isn't as good, but it is better than the majority of monitors that we have reviewed so far, almost as good as the Samsung CHG90. 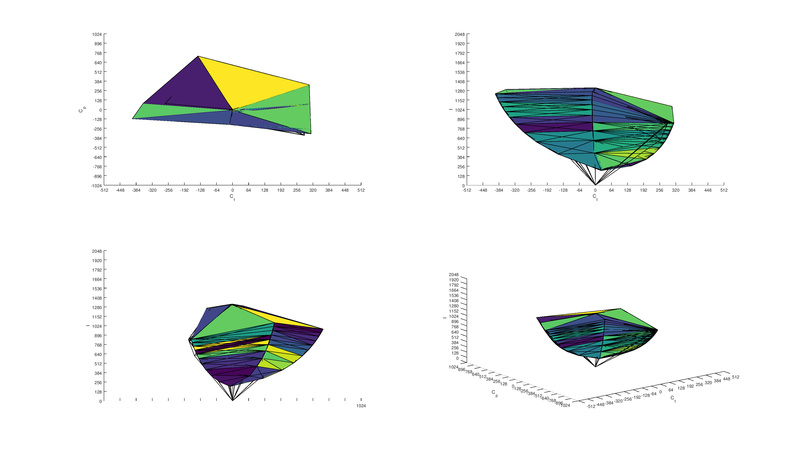 Excellent SDR color volume, one of the best we have tested so far. 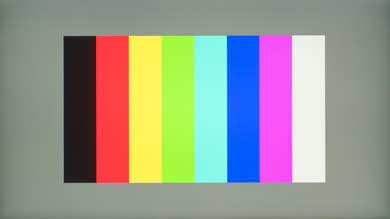 The LG 32UD99-W produces most colors well, but can't display very bright blues or very dark colors. 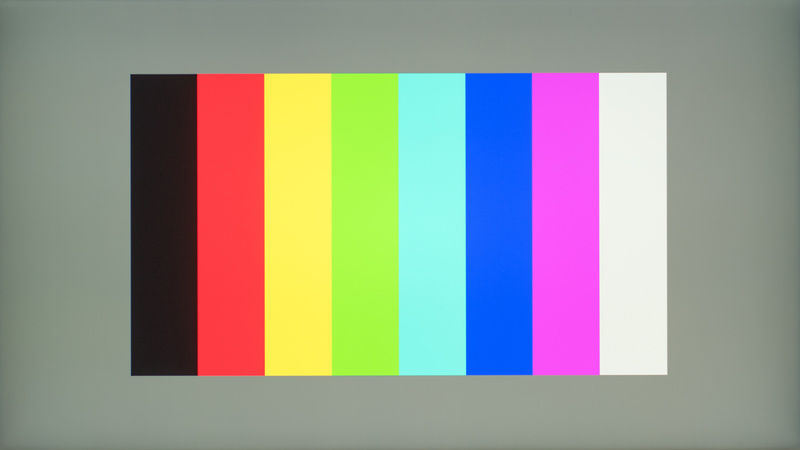 Update 01/17/2019: The Wide color gamut result was incorrect. The 32UD99 does have a wide color gamut. Decent HDR color volume. 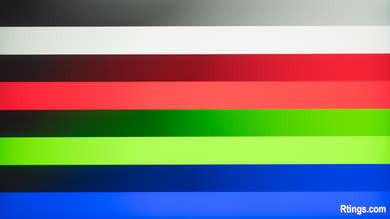 The color volume is limited by the narrow color gamut, and it can't produce dark colors due to the contrast ratio. After displaying our high contrast test image for 10 minutes, there is a partial residual image for a few minutes. In normal use this shouldn't be very noticeable. 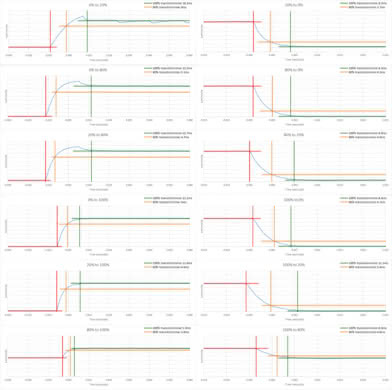 Some retention is visible in our 2 minute image, but it is below the detection threshold. 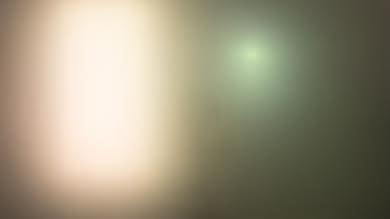 Note that the image we take is overexposed and this should not be noticeable under normal usage. Excellent gradients. There is some minor banding visible in all dark shades, but this shouldn't cause any issues under normal use. Excellent color control. There is no significant color bleed in any row/column. 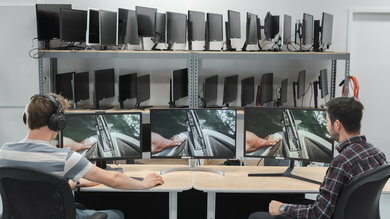 Decent reflection handling, similar to most monitors that we have reviewed. The LG 32UD99 has excellent motion handling. 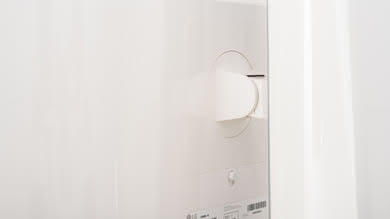 It has a fast response time that produces little motion blur, and a flicker-free backlight. It supports FreeSync, but the effectiveness is limited by the 60 Hz refresh rate. Unfortunately, it lacks an option to introduce flicker to further reduce motion blur. Excellent fast response time. 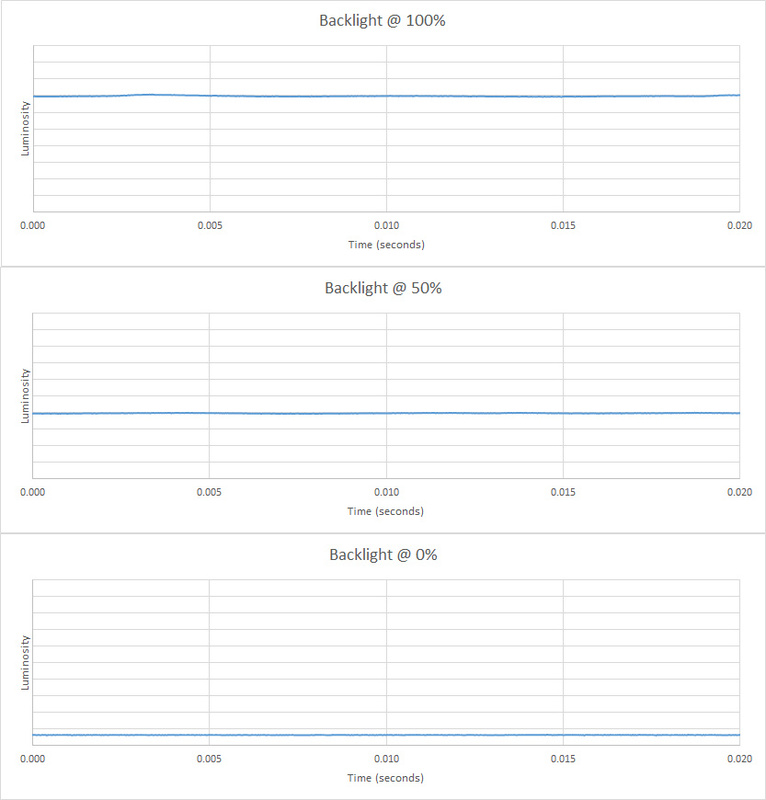 The best Response Time setting is 'Normal'. There is a bit of overshoot in most transitions. 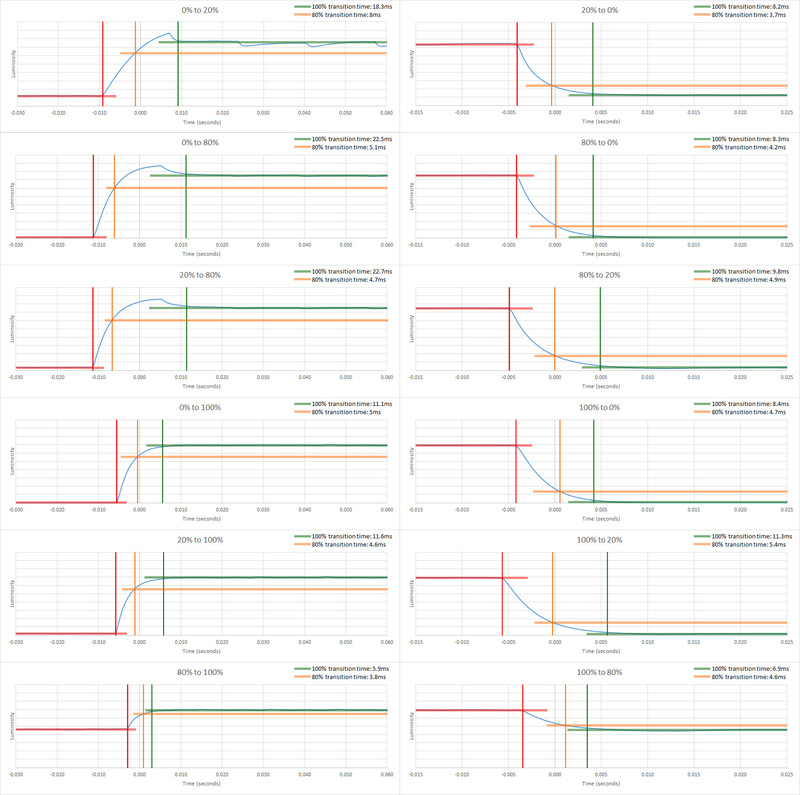 With the 'Fast' setting, there is slightly worse overshoot but not much improvement in response time. 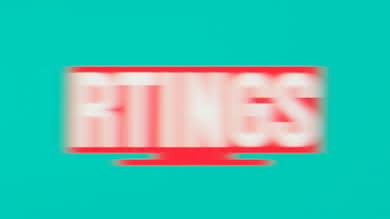 Most of the blur in the photo above is due to persistence. 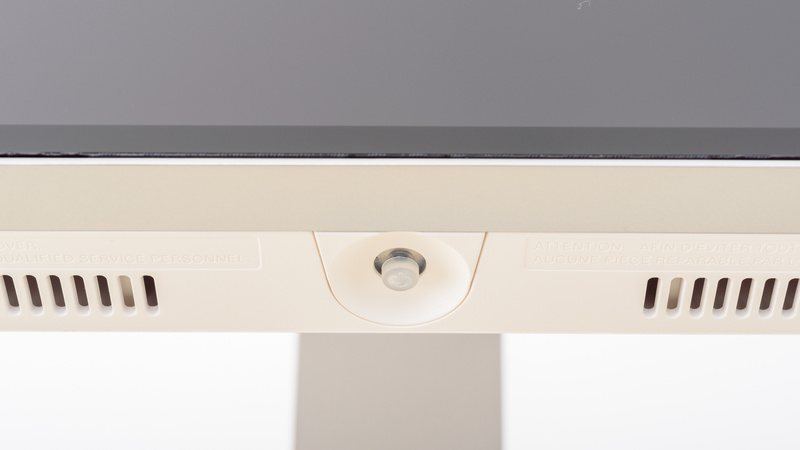 The backlight is flicker-free, the LG 32UD99 dims the display without introducing flicker.  There is no option to introduce flicker to help reduce blur. It is generally recommended to use the Extreme setting, unless you experience additional tearing or other issues. 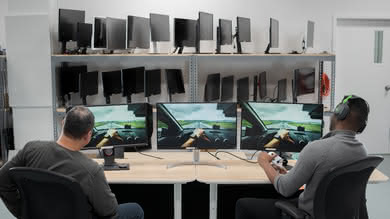 Update 01/15/2019: We retested the 32UD99 with NVIDIA's new FreeSync drivers. Under the 'Extreme' range, FreeSync performed identically to with a Radeon card. Under 'Basic', there was still excessive tearing, and FreeSync did not appear to work properly, regardless of the refresh rate. The LG 32UD99 has excellent low input lag regardless of input resolution. It has a large 32" screen and excellent 4k resolution, great for multitasking. 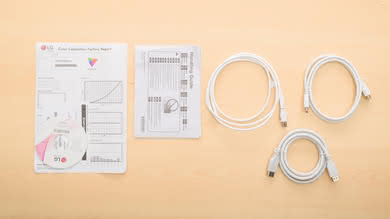 It supports a variety of inputs, and the USB-C port supports USB Power Delivery, great if you have a supported laptop or tablet. Excellent low input lag, limited by the 60 Hz refresh rate. 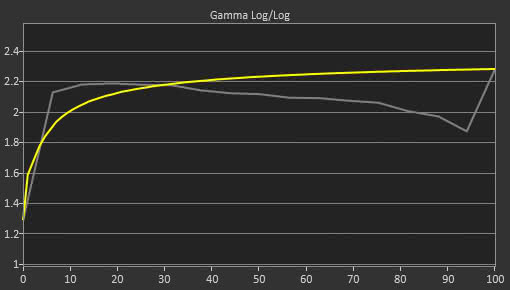 The input lag is consistent across all modes, even with a non-native resolution input. The LG 32UD99 has an excellent 4k resolution and large 32" screen. 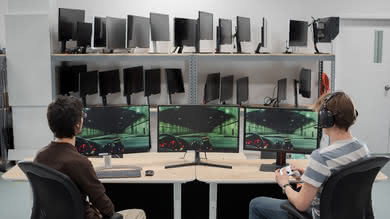 This is great for multitasking or for a more immersive gaming experience. 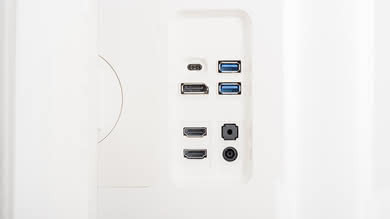 There is a USB-C port that supports DisplayPort Alt Mode, which allows you to display the image from a compatible device on the screen and at the same time charge the connected device with only 1 cable. The maximum power delivery is 60W. 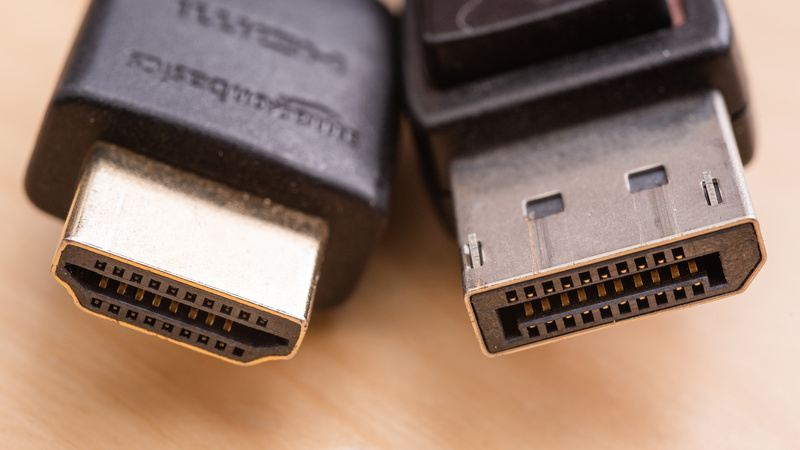 Update 01/22/2019: We incorrectly listed the 32UD99 as having two DisplayPort 1.2 connections. 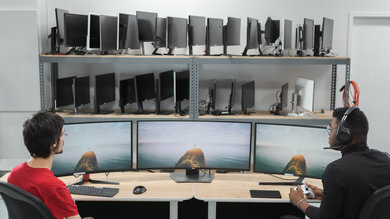 There is only one DisplayPort connection. The LG 32UD99-W has a limited set of additional features. It has built-in speakers and supports HDR10. There is a USB-C port that supports DisplayPort Alt Mode and USB-C Power Delivery, great if you have a compatible laptop or tablet. There are no gaming-oriented features. 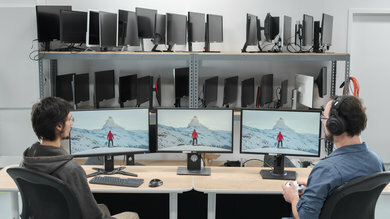 The monitor features the standard LG joystick control, and it makes navigating the OSD a breeze. 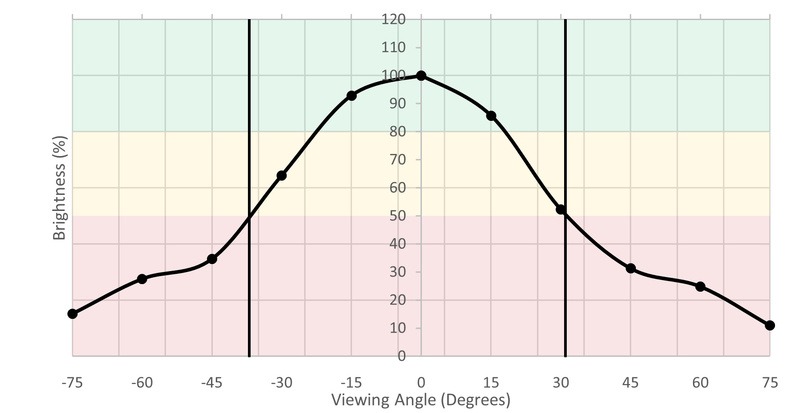 The OSD is the same as most LG monitors and is very easy to use. The 32UD99-W has integrated speakers, and it supports HDR10. 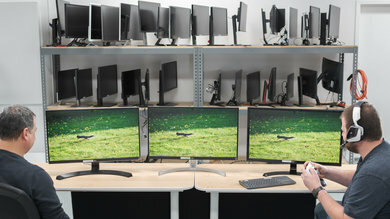 The included LG Screen Split 2.0 software can be used to simulate multiple virtual screens on the display or to enable picture-in-picture. 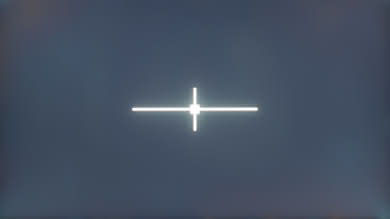 There are no gaming-oriented features like a crosshair overlay or fps counter. 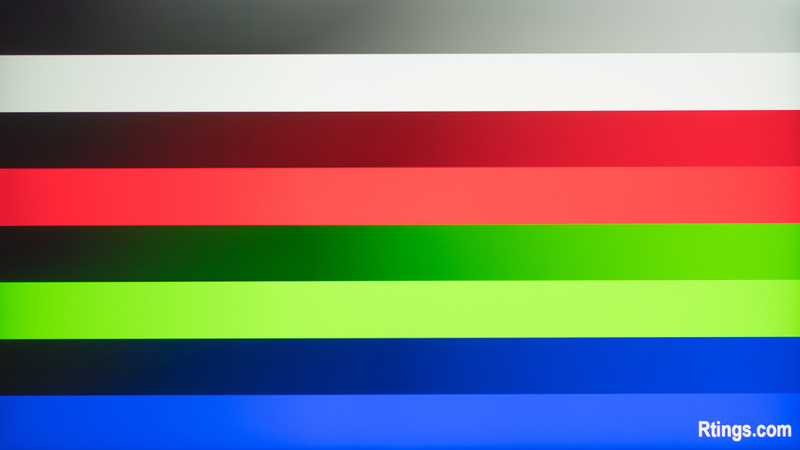 Super Resolution+: an upscaling feature that tries to improve upscaling quality. 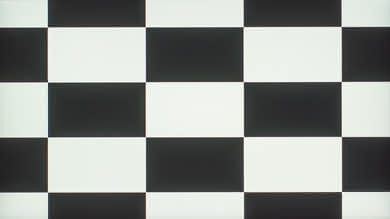 Black Stabilizer: improves black shades without affecting white shades. 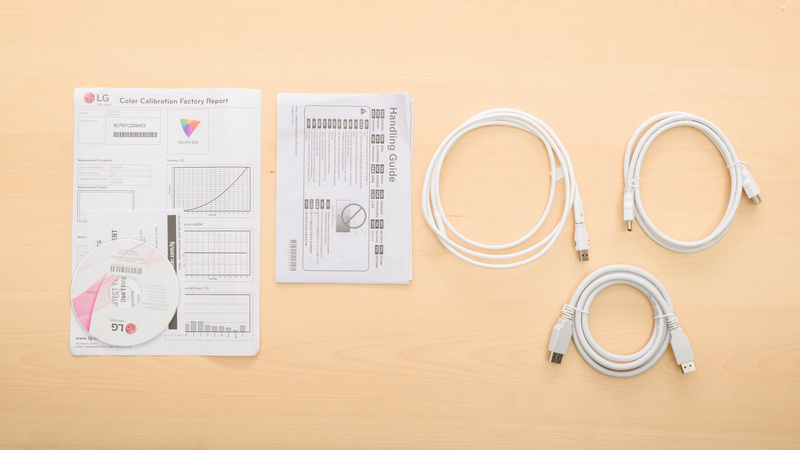 The USB-C port supports power delivery up to 60W, and the USB 3.0 ports support quick charging. 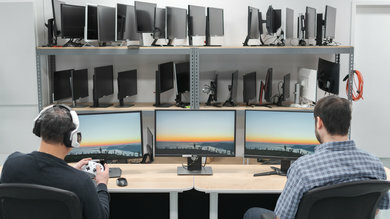 The monitor's settings can be controlled using the same joystick control found on most LG monitors. It is extremely easy to use and very responsive. 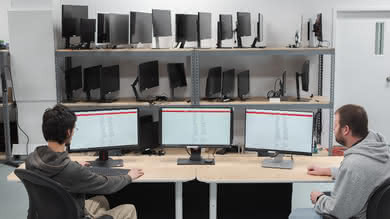 Many monitor settings can also be adjusted using the included On-Screen Control software. 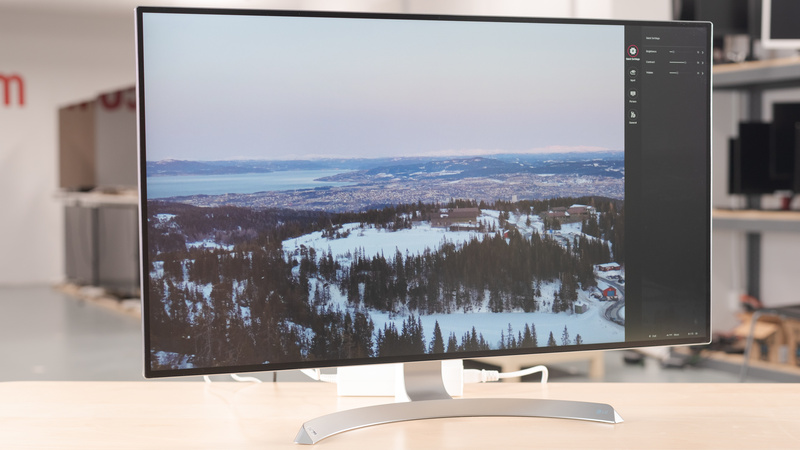 We tested the 32" LG 32UD99-W, which is the only model available. 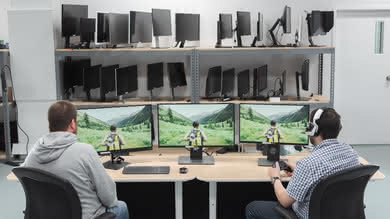 There are other 4k monitors available from LG, some of which are listed below. 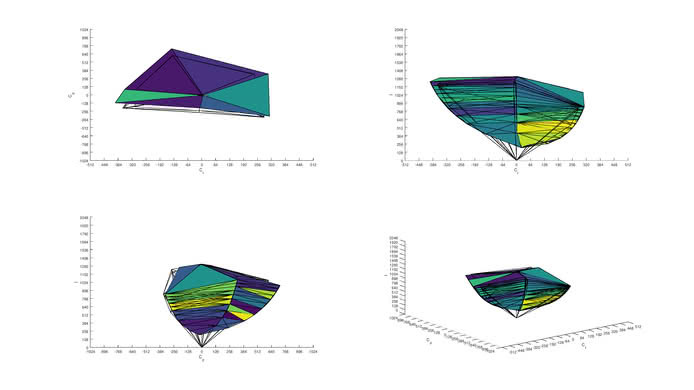 Note that these are different models with different capabilities. 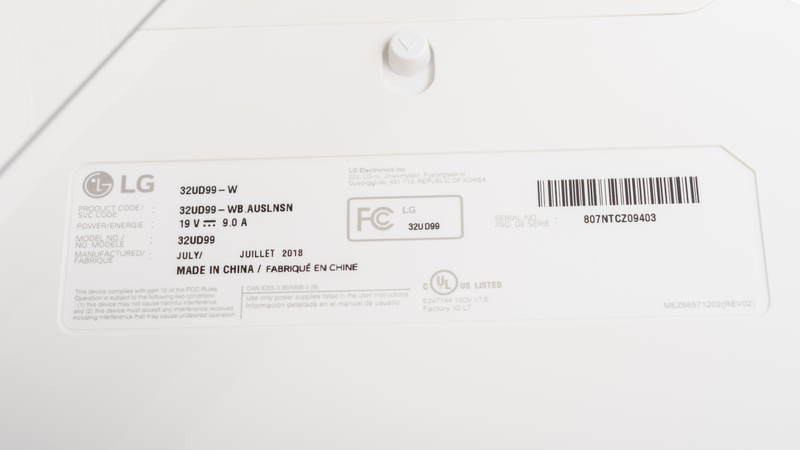 Our 32UD99-W was manufactured in July 2018. The LG 32UD99 is a great monitor with low input lag and wide viewing angles, and one of the best 4k monitors we've reviewed, but the added expense for the limited HDR support might not be worth it. 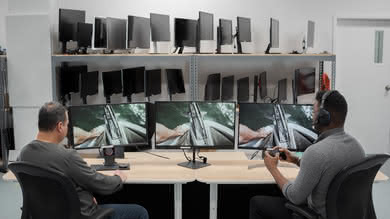 See our recommendations for the best gaming monitors and the best 32 inch monitors. The LG 32UD99 is slightly better than the LG 32UL950. Both offer very similar performance, but the 32UD99 has a flicker-free backlight, which is great, and it has a slightly higher native contrast ratio. The 32UD99 has a slightly better stand that is made of metal, and better build quality. The LG 32UD99 is somewhat better than the Dell U3219Q. The LG 32UD99 is flicker-free and has a better black uniformity, which is great for dark scenes. Also, the LG 32UD99 supports FreeSync, which is great if you are a gamer. 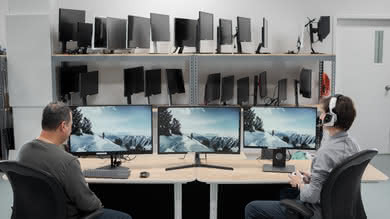 The Dell U3219Q, on the other hand, has much better ergonomics that allow you to place it comfortably with ease. The LG 32UD99 is much better than the BenQ EW3270U for most people, unless the deeper blacks of the BenQ due to the VA panel are of great importance. The LG 32UD99 has an IPS panel with significantly wider viewing angles, so you can share your work with your colleagues more easily. 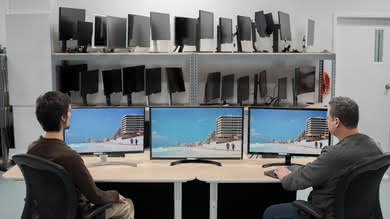 At the same time, the much better ergonomics allow you to position the monitor to your liking with ease. The LG 32UD99 is much better than the LG 32UD59-B. 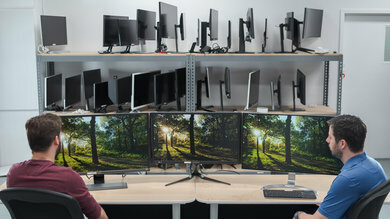 The two monitors have a similar design, with a nearly identical frame and bezel, just a different color. The main difference between the two is due to the different panels; the UD59 uses a VA panel whereas the UD99 uses an IPS. The UD99 is brighter, has wider viewing angles, and supports HDR. The LG 32UD99 is slightly better than the Dell U2718Q. The LG has better HDR support, with a better color gamut and much better HDR color volume. The LG handles motion better, with a flicker-free backlight as well as FreeSync VRR support. The Dell, on the other hand, has a better stand that can easily be adjusted to an optimal viewing position. The LG 32UD99 is a bit better than the Samsung CHG70, depending on your usage. The Dell is better suited for office usage thanks to the wider viewing angles and larger, higher resolution screen. 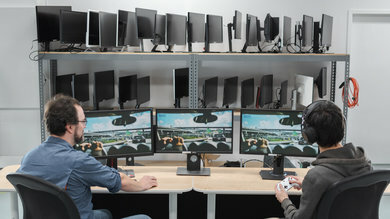 The Samsung is better suited for gaming. It has better motion handling, mainly due to the faster 144Hz refresh rate, and it has an optional black frame insertion feature to further clear up motion. The Samsung CHG70 also has better HDR support, with a wide color gamut and much better color volume. The LG 32UD99 is much better than the LG 32GK850G. The LG 32UD99 has better viewing angles due to its IPS panel and supports HDR and 4k resolution. 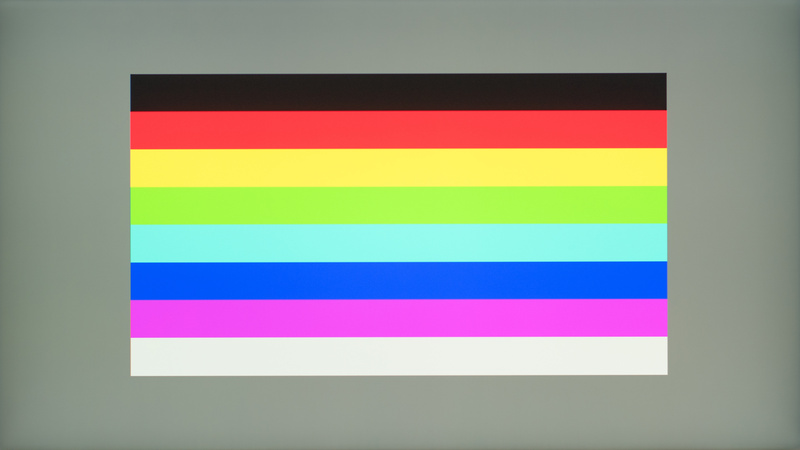 On the other hand, the LG 32GK850G has a higher native contrast ratio that makes blacks look deep in a dark room. The 32G850G is also a better monitor for gaming since it has a faster pixel response time that only leaves a small blur trail, a faster refresh rate, and a lower input lag. The LG 32UD99 is significantly better than the Samsung CJ791 for most people in the majority of usages. The LG has better viewing angles, due to the IPS panel, better ergonomics, can get brighter, supports HDR and has a 4k resolution. The Samsung CJ791 has a VA panel and slightly better blacks. It also has a faster refresh rate, a lower input lag, and curve profile for those who like it. The LG 32UD99 is better than the ASUS ROG PG348Q for most uses. The LG is brighter, has better gradient handling, and supports HDR. 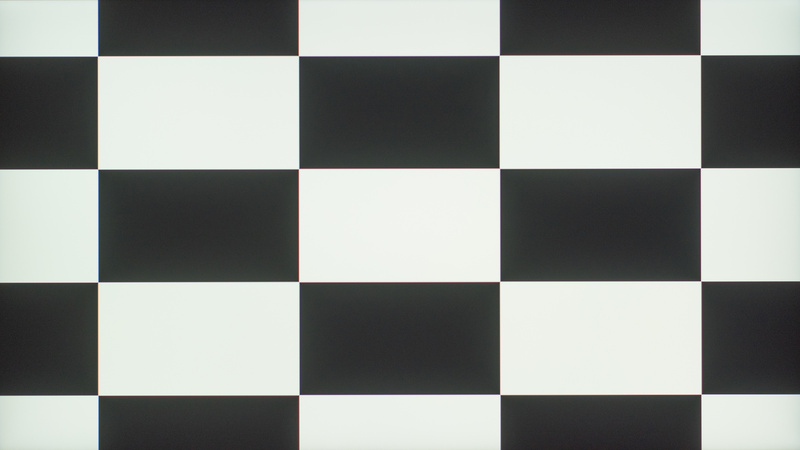 The 32UD99 also has better dark room performance, with much better black uniformity. 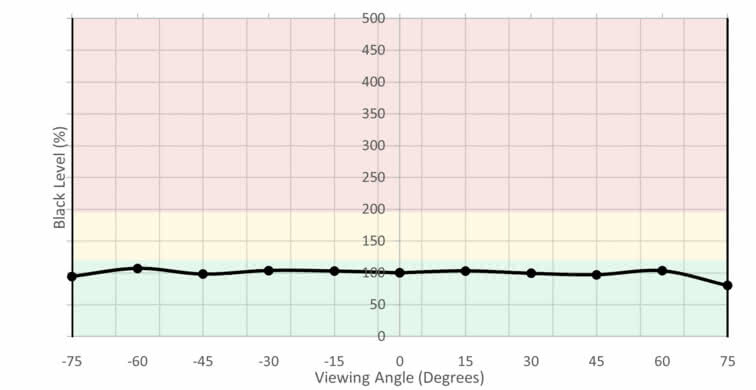 The PG348Q and 32UD99 have similar overall gaming performance, but the ASUS can be overclocked to a 100Hz refresh rate when connected with DisplayPort, and it supports NVIDIA G-SYNC instead of FreeSync. The LG 32UD99 is a great monitor for most uses. It has a decent stand that can be easily adjusted to an optimal viewing position. The 32", 4k screen is great for multitasking. Fast motion looks crisp thanks to the fast response time, and it has excellent low input lag. Some people will be disappointed by the 60 Hz refresh rate. 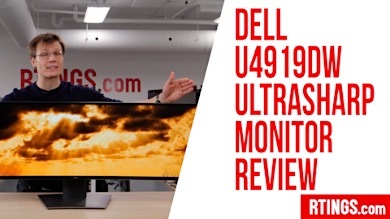 The LG 32UD99 is a very good monitor for use in an office. It has a decent stand that has wide adjustments, but can't swivel. The large, 32" screen, and 4k resolution are perfect for multitasking and it has wide viewing angles. It performs well in a bright room, with very good peak brightness and good reflection handling. The LG 32UD99 is a great monitor for gaming. Motion looks great thanks to the fast response time. It has excellent low input lag, and it supports AMD FreeSync over HDMI and DisplayPort. 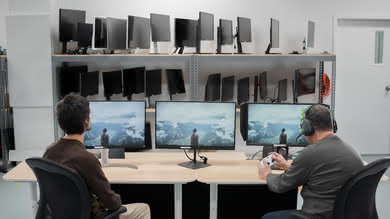 Unfortunately, some gamers might find the 60 Hz refresh rate too limiting. This is a very good monitor for multimedia. Fast motion looks good thanks to the fast response time, and the high resolution 4k screen is great for watching 4k videos in HDR. 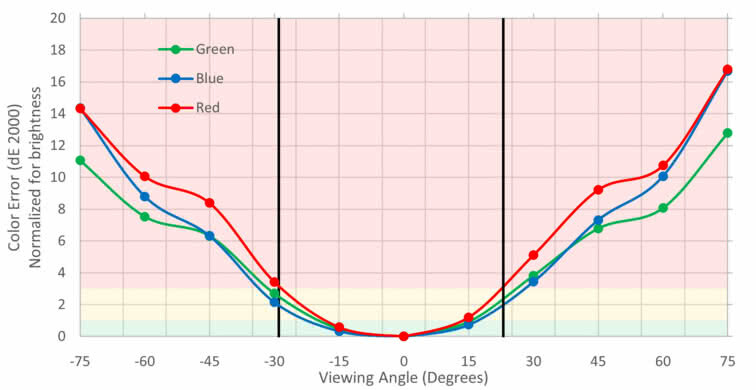 Unfortunately, the effects of HDR are somewhat limited due to the narrow color gamut and mediocre peak brightness.  It also isn't the best monitor for dark room viewing, due to the contrast ratio and black uniformity. Very good monitor for media creation. The large, 32", 4k screen is great for seeing more of your project. Colors look great thanks to the excellent SDR color gamut and excellent color volume, and although its Adobe RGB coverage isn't perfect, it is better than most monitors we have reviewed. Decent monitor for gaming in HDR. It has a fast response time, excellent low input lag, and FreeSync support. 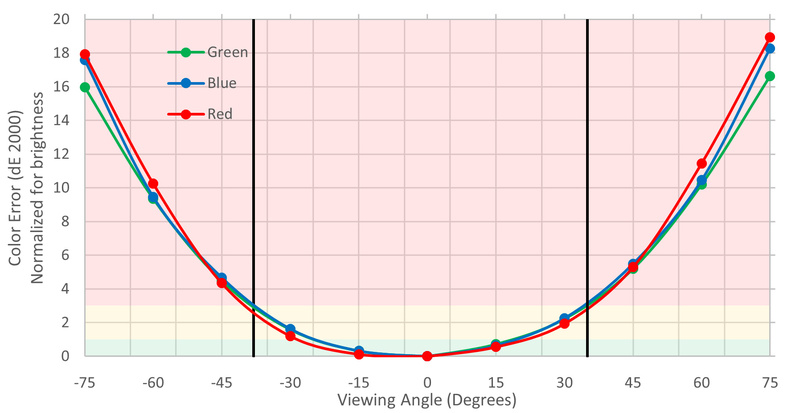 Unfortunately, the impact of HDR is somewhat subdued due to the limited color gamut and mediocre HDR brightness.